Lenovo outed a surprise 50-lumen pico projector at MWC that comes with dual speakers, 110" maximum projecting size, and can rotate 90 degrees for the best viewing angles available on your camping trip - take a peak at how it's done in our video below. The high-contrast LED light source can stream stuff wirelessly via DLNA or Miracast connectivity, or you can simply connect it via the microUSB port of your Android, iOS, or Windows Phone device. The Lenovo Pocket Projector can last up to 2.5 hours on a charge, which means that you should be able to stream your average movie, even away from a power source, before the battery gives up the ghost. The native resolution is 854x480, and with contrast ratio of 1000:1 you should be able to tell what's what unless it is a bright sunny day. Lenovo's pico projector even has a microSD slot that takes up to 32 GB cards for media storage, and the thing is just 104mm (w) x 25mm (h) x 00mm in dimensions, weighing about 170g (0.37lb), meaning it is a true Pocket Projector, just as the title says. We handled it at MWC and found the built to be generally sturdy, though the looks are a bit less-than-premium on account of the plastic used. 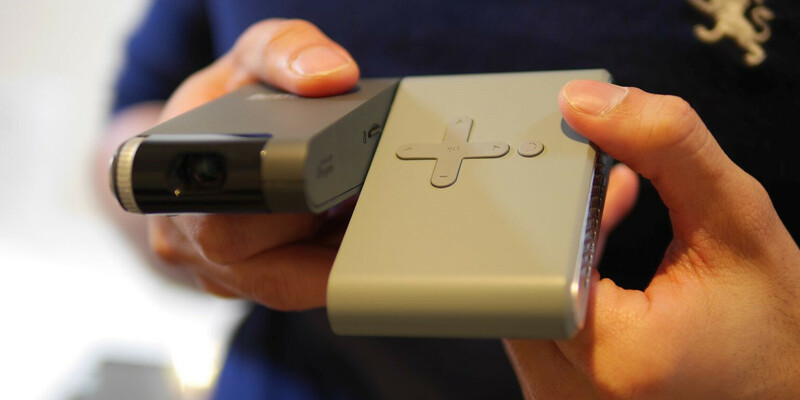 Lenovo will charge $199 for it, which is better than all such offerings on the market, and the Pocket Projector will be available as soon as this month in all regions where the company has retail presence. Sweet now that's what I call innovation. LG had a Pico projector on the ExPO back in the WinMo days. Is Lenovo pulling an Apple and claiming this as their own creation? what was the size? this one is very small. I love it, but I'm gonna wait until they have the Full HD version.